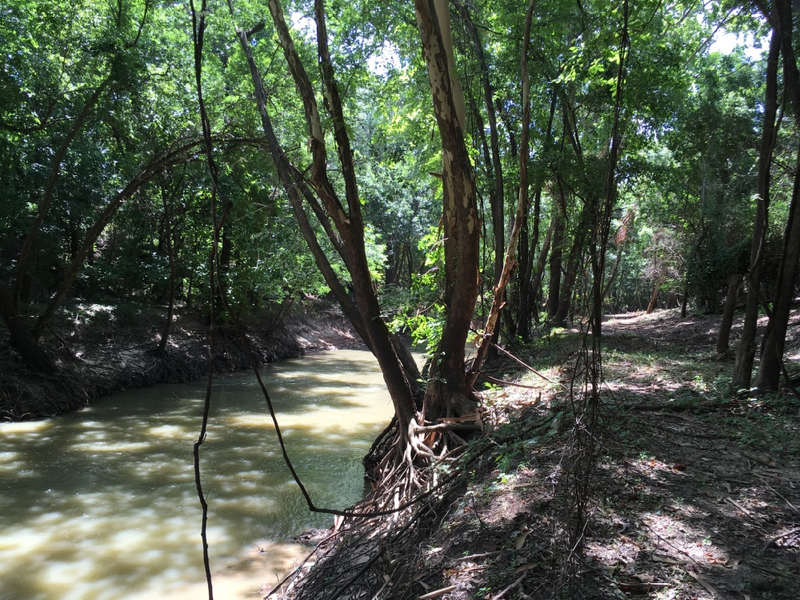 A large number of trees will be cleared in one of the city’s last remaining public forests on Buffalo Bayou because it’s the “easiest and cheapest” stormwater project to do, city and county flood control officials explain. The trees are being removed to dig out shallow basins on the bank of upper Buffalo Bayou in Terry Hershey Park in west Houston, a rolling wooded area with paths used by hikers and bikers and wildlife. When the bayou overflows, the basins are meant to hold briefly a modest amount of water which then continues flowing downstream. But the calculation of “cheapest and easiest” does not include future repair and maintenance costs where now there are none. A similar project on the once-forested opposite bank has required many millions of dollars in taxpayer funds for maintenance and repeat repairs to the bank in the decades since trees were cut. It does not consider the financial value that the forest provides by cleansing the water and the air for free. Studies have shown that riparian vegetation is cheaper and more effective at cleansing our polluted water than even sewage treatment plants. A study of Houston’s urban forest by the US Department of Agriculture found that even including invasive trees, our modest tree cover captures carbon and other pollutants from the air worth hundreds of millions of dollars. Looking downstream on the straightened channel of Buffalo Bayou in the area where trees are to be removed and basins excavated in Terry Hershey Park in west Houston. Photo June 2018. Making room for the bayou to overflow is a good thing, as is a focus on detention or “slowing the flow.” Cutting down trees and removing vegetation next to the bayou is not. “Engineers have a hard time understanding,” says Bob Freitag, director of the Institute for Hazards Mitigation Planning and Research at the University of Washington and co-author of Floodplain Management, A New Approach for a New Era. “Trees aren’t in their model. We were late taking our winter shot of that bend in the bayou. We’ve been photographing the bayou from the same high bank in Memorial Park every season for almost five years now. But photographer Jim Olive has been busy taking photos of Joshua trees and palms in the sunny desert out in California. The clear air there is cleaner, drier, and healthier for his lady counterpart, so Jim, a lifelong East Texan, has pulled up stakes, driving back and forth to Texas for occasional gigs and resuscitating his many friends here with emergency storytelling. It turns out that Jim is a unique and irreplaceable person: a talented and generous professional photographer, a naturalist, herpetologist, passionately and actively devoted to the environment. Among other things, he is the founder of the Christmas Bay Foundation and also, not kidding, an actual Wilderness Advanced First Aid Responder, though that certification does not require lively storytelling. The weather wasn’t cooperating on the days he was here. But finally last week there was a break in the gloom. Just after sunrise we met in Memorial Park, walked across the grassy picnic area south of Memorial Drive, and headed into the woods and down the winding dirt (unofficial) path with Jim reciting the Latin names of trees and plants. 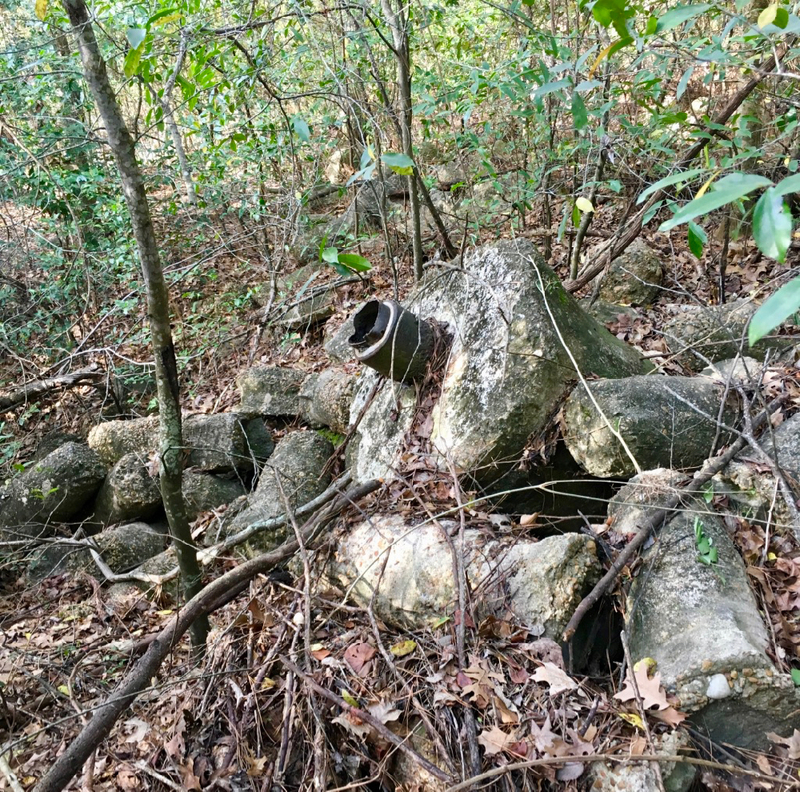 Walking along one of the many ravines that drain into the bayou, we passed a pile of broken remnants of concrete pipe left over from when the park was part of Camp Logan, a World War I military training camp and hospital, now a State Antiquities Landmark. We paused to see whether the giant Texas rat snake (Elaphe obsoleta lindheimeri) that we saw coiled up in there a few seasons back would appear. It did not. This was not far from where we’d seen the big, beautiful coral snake (Micrurus tener) slithering across the path last November. We continued down the trail, easily stepping over the disintegrating remnants of what was once a large log, the trunk of a massive Loblolly pine (Pinus taeda), possibly felled by the drought of 2010-2011. Dead trees are, in a sense, not really dead, as they continue to be a vital part of the ecosystem, both on the land, in the water, and along the bank. When we first started years ago, in order to pass over it, we had to step up on top of this fallen elder, with Jim cautioning always to give warning and be wary of the possible presence of a rattlesnake (Cortalus horridus) taking shelter under the log. 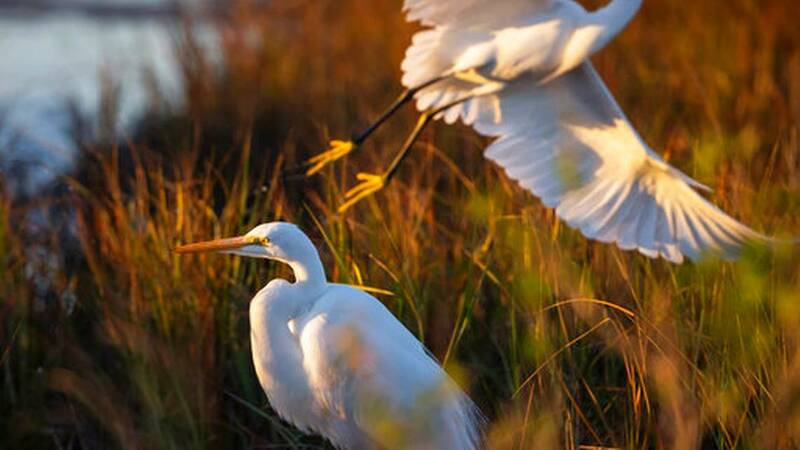 GALVESTON, Texas — To a motorist, zipping south through Galveston County from Houston to Galveston Island, the surrounding landscape might look like a whole lot of nothing — flat land, scrubby grass and frontage roads edging up to open prairie. Some in Houston are advocating for a massive, multi-billion dollar tunnel to be constructed to carry polluted stormwaters from the west side all the way to Galveston Bay. Can Houston learn from the mistake of Chicago? With urbanization and sprawl ongoing concerns in Texas cities, the question of how to build in ecological resilience grows more pressing. Kevin Sloan, a landscape architect in Dallas and professor at the University of Texas at Arlington, has been a big proponent of “rewilding,” a practice of designing green space to attract wildlife and reframe cities.